Beautiful Home, well maintained, 5 BR, 3 Full BA, Guest Suite on main w/FULL BA. Formal living & dining rm w/like new carpet, 2 Story Great Rm, Lots of windows & fireplace. Hardwoods on the main level. Chef's kitchen w/granite counters & island, tile back-splash, cherry cabinets, gas cook-top, pantry, patio w/pergola, private backyard. Oversize garage w/plenty of storage room. Private owner suite w/dble sink and vanity w/cherry cabinets. Extra large bonus room upstairs w/closet can be used as BR, theater/game room. 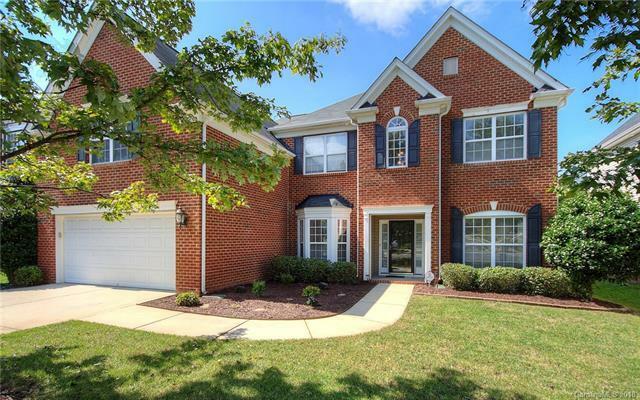 Near popular outlet mall, grocery store, restaurants, I-485, the airport, minutes from the Whitewater center, Uptown Charlotte, Belmont, Lake Wylie. Sellerproviding home warranty.